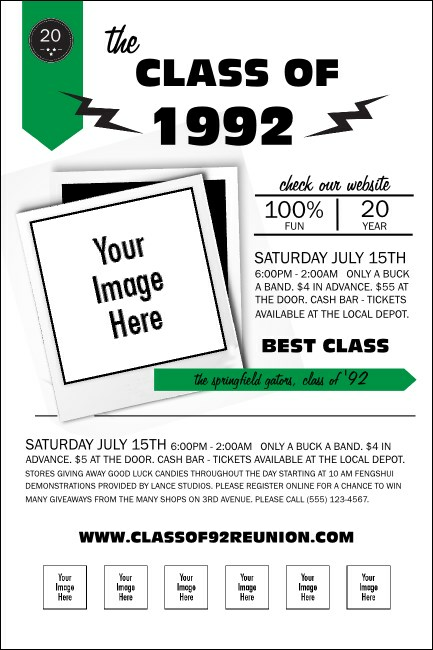 Promote your event to the highest degree when you print Class Reunion Mascot Green Posters in advance for your alumni reunion. With room to upload seven unique images on a green and white background, you can customize these Posters with your old college mascot or even your sponsors’ logos. TicketPrinting.com helps you grow your advertising efforts.